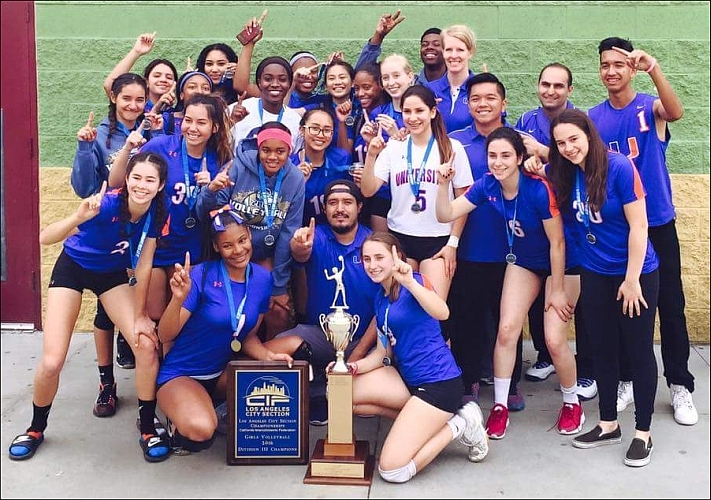 Girls Volleyball wins Los Angeles City Division III Championship! [Posted November 12, 2016] Uni won the 2016 City Division III title by defeating Central City Value, 25-19, 18-25, 25-19, 19-25, 15-9, on Saturday, November 12 at the Roybal Learning Center in downtown Los Angeles. 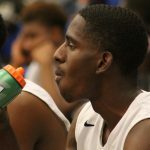 Coach Emilio Alvarado’s Wildcats compiled a 17-7 regular-season record and 7-5 in the highly-competitive Western League. 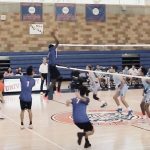 Uni was top-seeded in the City Division III playoffs and won its matches against Middle College (3 sets to 0), Valley Academy of Arts and Sciences (3-0) and Rivera (3-0), to get to the championship match. 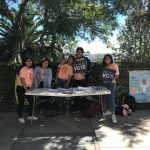 Uni (21-7) will now enter the California State Division V playoffs and is seeded eighth, going into its first match vs. Thousand Oaks Hillcrest Christian on November 16, at the Uni South Gym, at 7 p.m.